Our Krav Maga Classes offer the perfect combination of fitness and self-defense, helping men and women across Baton Rouge stay prepared for whatever life throws their way. Learn more or check it out today! Keep your body guessing and your muscles moving like never before. Our Fitness Kickboxing Classes in Baton Rouge offer people of all experience levels a targeted training session that only takes 30 minutes of your time! Our Weight Loss Challenge is helping men and women across Baton Rouge enjoy total-body success and sustain it for years to come. Join us for incredible strength training, effective fat burning, and ongoing accountability. BRKM (both Perkins and Airline locations) is a phenomenal place to get in shape, lose weight, maintain, or even train to gain muscle. It is so well-rounded. They balance everything for you! They give you meal plans, personally encourage you via text, phone, social media, etc., personally train you in a small class environment, and most of all- are ALWAYS POSITIVE and SUPPORTIVE! I did the six week challenge as a washed-up athlete who could never recover after having my son. For the first time since I got pregnant (4 and a half years ago), I am back to my "normal weight." I lost 20 pounds and 7% body fat during those 6 weeks. I am full of energy again and motivated to always stay healthy now. BRKM's workout plans check out and work well for every type of person, whether working or juggling children, because they are only 30 minute classes! Can't make it to a class?- they will give you a workout to do at home according to the level of intensity you can tolerate. Having issues with losing the weight?- they will personally tweek your meal plan for you until they find something that works for your body. They have multiple times you can go a day as well, so it works for almost anyone's schedule! 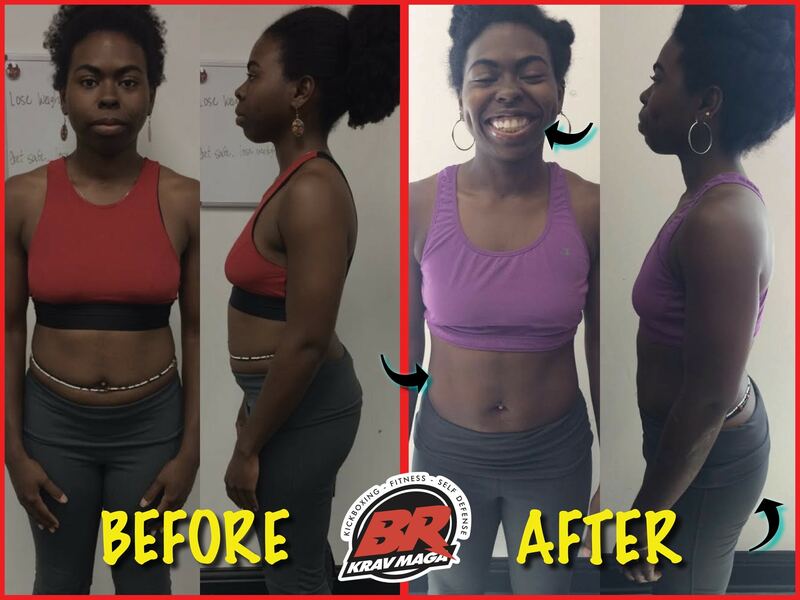 If you have 30 minutes a day and the motivation to be healthier, BRKM is where you should go to get the quickest and healthiest results in town! I am in the best shape of my 28 year old life right now, thanks to BRKM! I have never felt so supported through a program as I have with them. I did the 6 week kickboxing bootcamp and felt like my mind and body were both challenged. They told us to not be afraid of the bag, and I felt like a warrior by the end of the 6 weeks. Kyle, Nick, Audra (sp? ), Stephanie, hell... the whole team were great coaches! Kyle hooked me up on the facebook group and was available for one-on-one help. He even went as far as to screen all of my meals via text pics to make sure I was on track with the meal plan. That is devotion! I couldn't have met my goal without them, 6% body fat GONE. I am overjoyed and looking forward to using more of those diet tips as I continue my healthful and fit lifestyle. I was looking for a program to help me get back in shape and to teach me to have a healthier lifestyle. I stumbled across BR Krav Maga and did the 6 week challenge, it was the most challenging 6 weeks but it was worth it. I was an competitive swimmer my whole life and when I got to LSU I did not have the time to swim and I lost some of the muscle that I had gained from swimming. 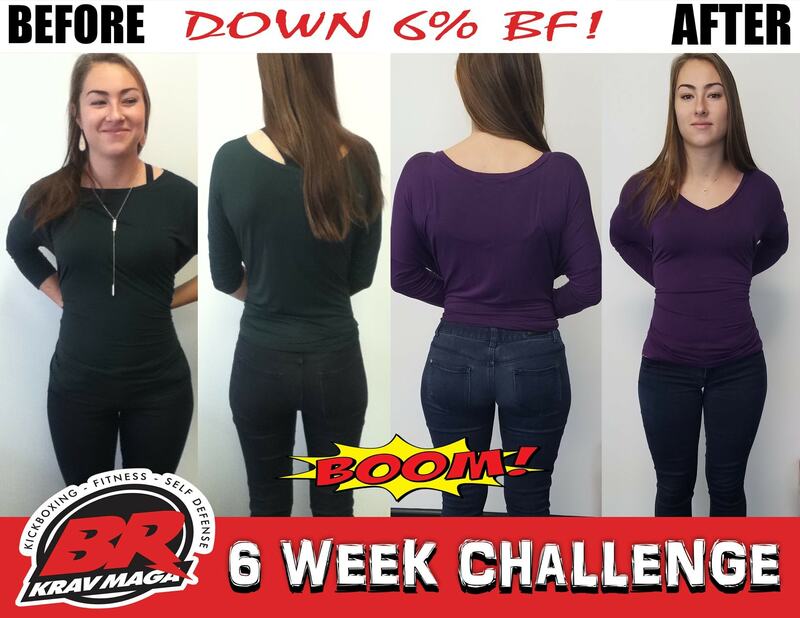 During the 6 week challenge, I was able to get all my muscle back and get back to the shape I was in when I was a competitive athlete. The team over at BR Krav Maga truly want the best for you and to see you succeed. Special thanks to Stephanie and Kyle for their time and patience with me. I was able to beat my goal and now I have a healthier lifestyle!